Our product range includes a wide range of industrial crane. 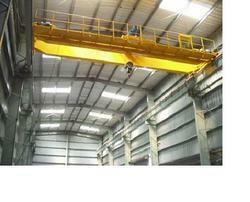 We are manufactures and suppliers of Industrial Crane. Industrial crane using premium quality raw materials and latest technology that ensures availability of design information much faster and quicker and maximum satisfaction of the customers. Industrial Cranes are basically Standard Duty Cranes used in Maintenance Jobs, Workshops, Scrapyards, Storage yards, Powerhouses. Moreover, these Industrial Cranes are also available in customized sizes as per the choices and requirements of our clients’.